UKRAINE: CRIMEA VOTED UNDER THE GUN, LITTLE CAN BE DONE, WHAT NEXT AND AT WHAT COST? We now have seen the inevitable result of the vote in the Crimea and also the alarmingly massing of Russian troops on the Eastern border of the Ukraine. Add to this are reports of Russian provocateurs and Russians “citizens” bussed in by Putin to destabilize the Eastern region of the Ukraine. BBC broadcasts in London are filed with images of demonstrations of crowds storming official buildings with Ukrainian police basically permitting them to take control of key sites without use of counter force so as not to give justification to Putin to send in troops. There are reports of military incursions on Ukrainian territory beyond Crimea. Crimea already has declared immediate independence and will apply to become a part of Russia. Ukrainian laws will no longer apply in Crimea. In Moscow, the press is calling the action a ‘victory.” The Russian parliament will vote on Tuesday and Putin will address the parliament likely on that day. Reaction to the vote results on the part of the West have been mostly “harsh”words and calling it “illegal.” None of this will dissuade Putin from keeping the Crimea or acting against the Ukraine. This came after the news that 97% of those who voted under the Russian guns were in favor of Union with Russia. No option was given to the people to stay with the Ukrainian. There were again diplomatic efforts by Obama with Putin, but sadly with no progress. UK Foreign Minister William Hague here in London said, “sanctions would be a very strong statement.” But this morning, he could only suggest that assets freezes and visa bans were likely. He added that all diplomatic channels are open. America is imposing limited sanctions via visa bans and asset freezes on a very few Russian officials. 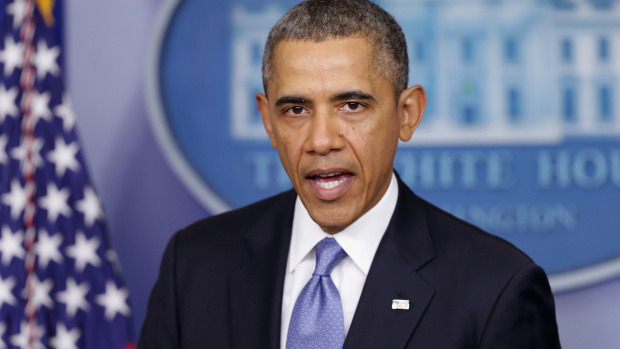 President Obama said on Monday that if annexation were to go forward more sanctions would follow. While Chancellor Angela Merkel of Germany talked tough earlier, her latest pronouncement was mostly of very ineffective action on sanctions like banning some officials from travel and freezing of some assents – most of which have already been transferred to “safe” havens. The EU Foreign Ministers are still meeting but again with the press reporting that the outcome will be creditably weak sanctions. Powerful forces want no real impact on Russia. The initial reports so far indicate only 21 Russian and Ukrainian officials will have visa bans and assets frozen and no business interests affected. This action will have no impact on Russia or Putin. It is a joke. This morning Russian ruble was lower but Russian stocks higher. European stocks were higher in the morning on the assumption that all will be business as usual given the insignificant sanctions. A Russian financial expert here said that he does not see any serious action and if there was the European economy would be the one to suffer. He said all will be normal given that only a few officials will be targeted not the business people. Incredibly, Russian stocks were stronger on the assumption that sanction would be unimportant. Yet the Russian economy is weak and needs to export largely energy and commodities products to survive. European stocks are up reflecting that there will be no serious effect and all will remain normal. There are indirect threats that the Russians could confiscate European and American assets in Russia. And there is little chance governments in the West will reciprocate. So the messages so far here have been mixed. With action relating just to travel bans on Russian officials (not business) and a few other items. The major meaningful sanctions could have been financial or economic including trade but these are no longer mentioned by governments. It remains an open question if these will be really applied for very long if Russia stops at the Crimea or even invades Eastern Ukraine. The situation remains, however, volatile with Ukrainian army reserves being partly mobilized and moved east, but they are no match for the Russian forces. Many here do not want even this small measure of self-defense–worried it would provoke Putin further. Key to effective support for the new Ukrainian government is very swift financial support and finding specific ways to stimulate the economy and put people to work and believe their future will be better. So what are we to make of these developments? Today, on the London BBC, the former UK Ambassador to Russia Sir Andrew Ward said that there will be “important symbolic” sanctions and added that in the long run these actions by Putin will be very bad for Russia but Russia will not retreat from Crimea. He made a key point which we have supported at this blog, that it was important to “talk to the Russians” not just Putin. We need to communicate to the Russian people how this action will harm the Russian economy and that Putin is fighting against Russia’s own interest. Sir Andrew is exactly right on this and showing more insight than most of the press or governments on this side of the pond. There are many long-term and major implication of this Russian action and of the minuscule reaction by the West. The impact of Russia on international security and its own future is at stake given the growing nationalistic and authoritarian actions by Putin and his regime. On the Western side is the problem of Putin’s estimation that he has won at no cost to him and indeed achieve a major goal of his building a new “Soviet”empire. Will he be embolden? Further, the question also is whether the West can devise policies to protect itself from Russian leverage on Europe via energy trade and being a certain hostage from Western investment in Russia. Yet, there is more meaning to the events we are seeing and will be a topic for future blogs. The debate here in Europe is even wider than in America as is the perspectives driven by where you are and who you are. Few are seeing the “big picture” but concentrating on the immediate interest. Questions remain on the impact on Syria, Iran, non-proliferation, NATO, Russia’s place in the world, Western security and how to lessen the West’s vulnerability to Russian future aggression and implications for global governance. New here in London include the speech by President Putin in Moscow and the immediate signing of a treaty which will annex Crimea to Russia. There is tentative word at this moment on the BBC News what a Ukrainian officer was shot and killed and another was injured and captured by what was described a pro-Russian militia. Pro Russian forces backed by Russian forces have added threats to the remaining Ukrainian force in Crimea and it appears that sift action is being take. In Moscow Russian officials are saying any sanctions will be answered by even great sanctions by Russia. The UK Foreign and Commonwealth Secretary said in the House of Commons that such action was illegal and would not be recognized. But the simple fact is the announced sanction announced by the EU and the US were the weakest possible that could be imagined. Both the UK and the US did note that added sanctions might be possible if further action was take by Russia and they cited an annexation was one of these acts. The situation remains very uncertain but the assumption here by some in the media is that the sanctions by the West were of such small impact that they were a signal that Putin can move in any situation with impunity. There are voices of moderation, even pro-Russia voices, in some of the media that say that Crimea is Russian and let it go. The Ukrainian government said the act by Putin was like the action of Hitler and as others support their integrity. More on this and European reactions soon.